Plus how Amazon’s Alexa could be literally inside your ear. The way we live is changing fast. Every fortnight in our Future Focus series, supported by Volkswagen, we’ll look at how one aspect of everyday life could change in the coming years. This week: seeing and hearing. IN FILM AND TV, glasses might be stereotypically reserved for nerds and geeks. But vision problems affect a large proportion of the population and are becoming even more common. According to James Loughman, professor of optometry in DIT and director of the Centre for Eye Research Ireland, shortsightedness, or difficulty seeing objects in the distance, is the fastest-growing eye condition in the world due to changing lifestyles and ageing populations. “At the moment there are about two billion people on the planet who are shortsighted, but that’ll rise to about five billion people in the next 20 to 30 years,” he says. For those with shortsightedness, or myopia, glasses have long been the easy option, while contact lenses and laser eye surgery have become more popular in recent decades. However, as these solutions don’t tackle the more serious conditions that myopia can lead to, Loughman’s research has been trying to find ways of slowing down or preventing shortsightedness altogether. “We’re looking at using an eye drop to try slow down that progression. So we want to identify children who are at risk of myopia and intervene with the eye drop at that early stage. But for those who have a more serious visual impairment that can’t be treated with a pair of specs, researchers believe that ‘bionic eyes’ could be the future. This high-tech solution involves an artificial implant, which replaces the eye’s lens or retina and stimulates the visual system for people who have lost some or all of their sight. It may sound like something from The Terminator, but the technology is currently being trialled to help people with conditions like retinitis pigmentosa and age-related macular degeneration. Nobody in Ireland has had the procedure yet, but a handful of surgeries have taken place in the UK. “At the moment bionic lenses are pretty basic in terms of what kind of vision they can provide, like allowing you to see shapes. But definitely there’s been some successful surgeries in the last few years,” Loughman says. Some scientists have also suggested that the devices could improve eyesight for those with only minor or no vision problems, moving past the concept of 20/20 vision or giving superhuman powers of sight. But Loughman doesn’t believe we’ll all be throwing out our glasses in favour of bionic eyes any time soon. He says that more simple tech ideas will have a greater effect on how we detect and treat eye problems in the near future, from vision screening using smartphones and AI, to training children with lazy eyes using virtual reality programmes. “Bionic eyes and brain implants can have huge benefits to a limited number of people with serious conditions. But I think mobile technology and artificial intelligence, with all of the possibilities that they bring, have the capacity to impact the most people,” he adds. When it comes to our ears, science and tech are also facilitating some big developments for those with hearing issues. Although it may not be as common as wearing glasses, nearly 100,000 people in Ireland are deaf or have a serious hearing impairment, according to the latest census data. But while we’re still waiting on our first bionic eye in this country, cochlear implants have become more common here over the last 20 years. These implants are electrical devices that are inserted into the inner ear, which can partially restore hearing for people who are profoundly deaf. Dr Amr El Refaie, who heads up UCC’s audiology programme, says there are “huge leaps” taking place in this area, with scientists starting to develop middle ear implants and even brainstem implants. However, implants aren’t suitable or necessary for everyone and so major developments have also continued in the field of hearing aids, especially over the last decade as users have moved from analogue systems to digital technology, adds El Refaie. “Something new is now happening in hearing aid technology every month rather than every year. Developing more digital solutions for hearing loss is definitely on the cards,” he says. So far, a lot of this development has been focused on making hearing aids smaller and more user-friendly, allowing people to adjust their own devices for different scenarios, such as when they’re in a quiet room or a noisy environment. But there are more opportunities on the horizon as hearing aid companies work on making it a multipurpose device. This includes using AI to enable noise filtering, health monitoring or even real-time translation – so someone could speak to you in French and you’d immediately hear it in English. With a growing interest in ‘hearable’ technologies, there’s also scope to potentially put voice-activated virtual assistants, like Amazon’s Alexa, into your ear. “Once you have a hearing aid that can wirelessly connect to your phone or other devices, anything can happen. It creates an open platform,” El Refaie adds. “You could be downloading music onto your hearing aid in the future, you’ll be able to do things like translations. I’m expecting new things to happen with hearing aids very fast now in the next five years. Looking further into the future, there may even be ways to reverse hearing problems altogether, which would eliminate the need for hearing aids. “Scientists are trying to regenerate hair cells in the inner ear, through gene therapy, stem cell therapy or drugs, which could reverse hearing loss. But when that’s going to happen, nobody knows – hopefully not in the too distant future,” El Refaie says. So while we may be moving past the stereotypical idea that glasses are only for bookworms and hearing aids are only for older people, it doesn’t seem as though we’ll be getting rid of these visual and aural assistants just yet. But with new developments occurring constantly, who knows what the future may look – and sound – like in a few years’ time. 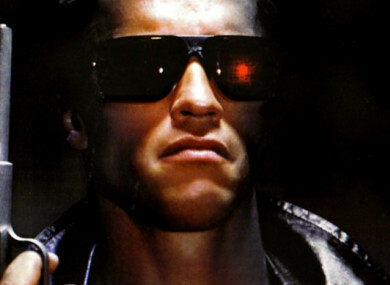 Email “Bye-bye bifocals, hello bionic eyes: the future of seeing and hearing”. Feedback on “Bye-bye bifocals, hello bionic eyes: the future of seeing and hearing”.